This is very good news who have free-to-air MPEG-4 or HD Set-top box for FTA channels because DD Freedish DTH testing 3 new TP frequencies. DD Freedish going to start mpeg-4 Tv channels but these channels will be in CAS mode which will be receive by DD Freedish CAS enabled set-top box. 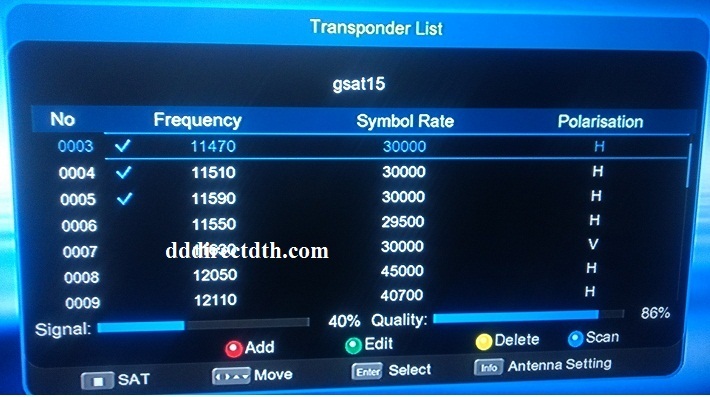 Till then you can enjoy FTA channels, and here frequencies which are testing by DD Freedish. Please keep visit us on www.dddirectdth.com for all latest updates of DD Direct Plus DTH.